"Guide to Selecting a Warehouse Management System"
Today’s best-of-breed Warehouse Management System (WMS) incorporates and supports visibility across the supply chain management, enabling proactive disruption management and effective inventory management. Under the traditional model, warehouses have functioned within their four walls, leaving gaps among key supply chain players that disrupt the flow of warehouse inventory and information. 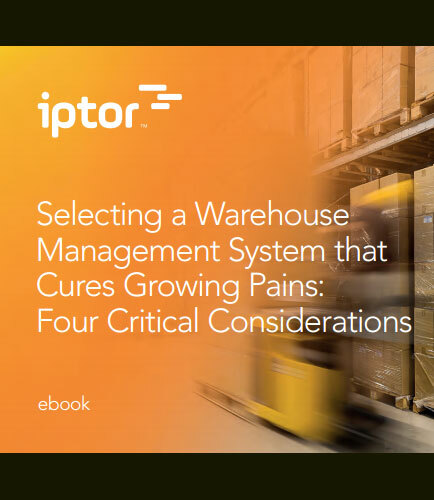 This whitepaper provides information that is intended to help executives in warehouse management identify whether they need to upgrade their current Warehouse Management System and how to select a best-value WMS solution based on today’s competitive landscape. What are the four critical considerations for mastering supply chain management? What are the telltale signs that indicate a strong need for a best-value WMS solution? How can warehouse operations keep pace with the challenges caused by supply chain complexity? Guide to BCBS 239 compliance : Risk data aggregation and risk reporting(RDARR) BCBS 239 is a regulation that focuses on a number of issues beyond just risk data and its aggregation. This whitepaper is recommended for decision makers at banks complying with BCBS 239, and looking to explore how outsourcing/engaging third parties can help rationalize costs and mitigate the risk of overspending, as well as use the regulatory delta as a competitive advantage. This whitepaper on Risk Data Mangement covers: What is the role of BCBS 239 and risk data aggregation and risk reportingin Risk data Management Why is risk data important ? Scope & Key BCBS 239 Implementation Challenges: Preparedness and potential risks that banks face in implementing 239 guidelines. Pilot Run: Results highlighting the SIB preparedness in implementing BCBS 239 by the given deadline Download this insightful whitepaper that brings you the ways to prepare for BCBS 239 compliance, challenges in effective Risk Data Aggregation and Risk Reporting (RDARR) capabilities.